During World War II, in the lush English countryside, a young girl discovers Norse mythology. Ragnarok by A.S. Byatt uses a child’s perspective to explore how stories, even ones from a place very different to our own, can give us somewhere to escape to during difficult times. Whether you feel this book succeeds or fails at recapturing the magic of ancient myths may depend entirely on which section you’re reading at that moment. While the writing is often beautiful, for example, the prose gets so purple at times Violet from Charlie and the Chocolate factory would be proud. I like over-the-top, expressive language but in a book this short, which tries to cover a lot of myths with a very small page count, I was left wondering why so much focus was being given to the types of flowers blooming back in England. Equally, some sections exploring Norse mythology are far more interesting than others. The rhetoric of many Goodreads accounts and book-blogs circle around likeability and relatability; in other words, current day readers valuem the degree to which you can empathize with characters. Because they are so different, a novel about the Norse myths solely would be a hard sell. I think this is why Byatt uses the third-person perspective of a thin child in rural England. She wanted to give us someone to connect with while still exploring the strange and twisted stories of Odin, Thor, and many other less recognizable figures. Unfortunately, the child is, while more grounded, flat as a character. It’s often said that the superhero genre could be seen as a modern version of mythical storytelling. There are a number of similarities: super-powered protagonists, varying interpretations from multiple authors across generations often about world-ending events. The thing that really separates them, though, is that superheroes have human concerns. Deities? Not so much. Superman is relatable to a modern audience; he wants to date Lois Lane; he has a nine-to-five job which he struggles to balance with his private life; he looks dorky in glasses. Thor, as presented here, like to hit things and drink. That’s really all there is too him. Odin is… stern? Sort of? Angry, too, I suppose. Gods’ concerns are higher than nine-to-five jobs: they have Ragnarok looming in the distance, and ice giants skulking, and mead to dine on. The children of Loki, however — a snake and wolf which are growing to unstoppable size — but are utterly fascinating. Byatt’s does a great job drawing you into the minds of these strange creatures and making you understand their motivations and very inhuman instincts. The same cannot be said, unfortunately, about any of the Gods except Loki, as they never leave the page as anything more than inexplicably angry cardboard cut-outs. But that doesn’t mean they couldn’t have been developed more. Byatt never feels the need to show us what makes them act the way they do the way she did with Fenrir the wolf and Jörmungandr the snake. This whole book ends up feeling shallow, which is shame, because the potential was there for something truly engaging. Instead we were left with a short introduction to Norse mythology that isn’t as interesting as the real book the main character is reading sounds. Until David Copperfield, I had never finished a Charles Dickens book. As a teenager I managed three pages of Great Expectations before throwing it down in a huff. I must have really hated those three pages, because I went the next ten years convinced, not just that I didn’t like Great Expectations, but that I didn’t like Charles Dickens. This was a fairly stupid thing to believe considering I’d only read around 0.0001% of his total work, but it was one that stuck for a long time. It only took two pages of David Copperfield for me to realize that I’d been missing out. His words can practically produce sparks in your brain. A young David Copperfield is orphaned and left in the charge of his evil step-father. We watch him run away, come back, fall in love, make some intensely stupid decisions, and, finally, grow up. Think Harry Potter, if instead of becoming a wizard he tries to become a lawyer and novelist. It’s also much more interesting than that last sentence makes it sound. When older novels are fun, there are normally some hefty conditions. “Fun, but“s, put another way. Classics can suffer from the sheer amount of time that’s passed since their release, and the humour comes across as antiquated and cliche. Dickens, however, is funny, not in spite of the age he comes from but because of it. He saw as much absurdity in the Victorian society as a modern man who time traveled would do. Tears are shed (frequently). David is almost angelic when he’s young, but the slow creep of maturity mixed with naivete let him be taken advantage of constantly. It’s sad to see him become more aware of predatory ways, but his innocence withers slowly, so it’s like a child learning that Father Christmas isn’t real over the course of decades. Dickens digs through the archaic aspects of his society and finds the universal struggles of his characters, who are obviously archetypal but bubbling with enough energy and complexity that you have become intensely invested in them by the end of the book. Archaic institutions likes debtors prisons and Doctors’ Commons feel convoluted yet familiar, and while houses made from boats and ridiculous names might come across as over-the-top, but part of the fun of this novel is letting the melodrama wash over you. It’s gooey and occasionally sickeningly sweet, but in a good way, like chocolate. The bad guys might as well twirl their mustaches and many of the good characters practically have halos, but there are also keen observations about the horrors of industrial life and the nature of modern existence; think Dostoevsky combined with Disney. There’s no denying that’s this is an over the top novel, but it’s bloody fun too if you’ve got some patience. In The Buried Giant, an elderly Briton couple wander through Anglo-Saxon England searching for a son they barely remember. The country seems cursed. People are forgetting their lives almost as fast as they live them. Memories still seep through the mist, though, and sow confusion in a world that has stopped wallowing in the past or dreaming of the future. This book needs to be read with careful expectations. An elderly couple on a journey wouldn’t be an extraordinary premise for a standard realist literary novel; put dragons round a corner, however, and readers begin to wonder why the narrative are focused on more mundaner aspects of the world. I appreciate anything which bends genre, however, so I was still excited; unfortunately this novel was, for me, stronger in theory than execution. Stories which find a good balance between the ordinary and supernatural are rare: The Magicians by Lev Grossman; Among Others by Jo Walton; Jonathan Strange and Mr Norrell by Susanna Clarke; arguably a vast swath of the work of David Mitchell. 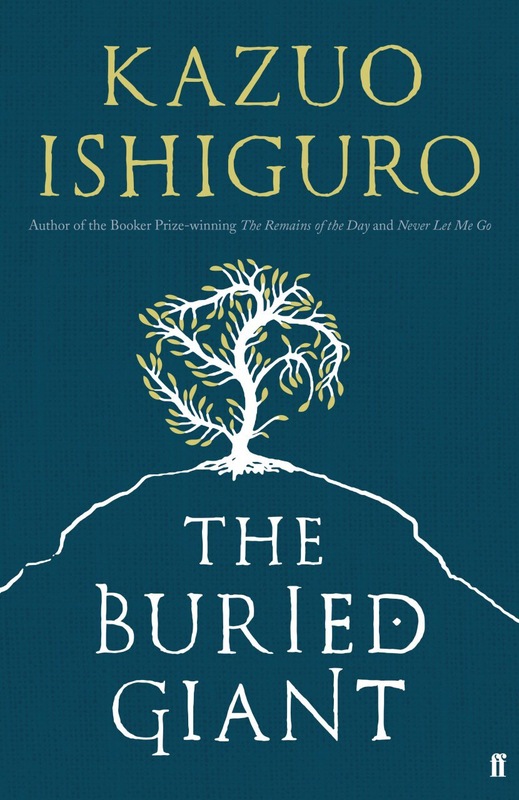 Ishiguro, however, through a combination of frustrating dialogue and poor pacing, just doesn’t make the list. Like in his more realist writing, Ishiguro’s prose is understated, almost flat. The narrative of fading memories is tied into the physical details of the landscapes Axl and Beatrice travel across, as everything outside their immediate periphery fades away. This dreamlike vagueness creates a calm atmosphere, but characters talk with a specificity that undermines the mysteriousness of the prose, so the dialogue feels out of place with the setting. And there is a LOT of dialogue. Characters act as mouthpieces so Ishiguro to explain anything of narrative or symbolic significance, and this is done with the same flat tone they use to discuss the sun, or never-dying love, or dragons. It’s as though Ishiguro is worried that we won’t pick up on something’s significance unless it’s explicitly discussed in-universe. As such, characters lose their distinctiveness (with the exception of Sir Gaiwan, who pops about around a third through and is the only character who has a unique voice, helped by the fact that he has sections in first-person) and I was unengaged from the book over, and over, and over again. It’s not just dialogue that feels inconsistent. The rules of this universe are constantly bent on authorial whims. Characters’ memories return when it’s dramatically convenient, and it seems arbitrary as to which memories vanished in the first place. As such, everyone feel molded around the story Ishiguro is trying to tell, rather than fleshed-out people with agency. Using fantasy as a backdrop can allow authors to create magic and legends which add a sense of grandeur and power and let them stretch our imaginations. Fantasy where internal consistency is disregarded, however, makes a novel which is utterly lacking in consequence. as they don’t remind us of people. The Buried Giant, in my opinion, felt like the latter. Unfortunately, “That’s it?” is a good way to describe my reaction to The Buried Giant as a whole. It felt like a long series of anti-climaxes.